Hello everyone! I was getting ready - a little early - for my New Year's Eve dinner tonight with the fiancé (it still feels weird saying/typing this!) and thought, since I have the time, why not photograph it for a pictorial? 1. Apply an eyeshadow base. I used ArtDeco Cosmetics Eyeshadow Base. I like this one because it is quite sticky, so it holds on to eyeshadow really well and makes your eyeshadow looks more defined. 2. Apply a dark brown shadow in a 'C' shape on the outer corners and blend. 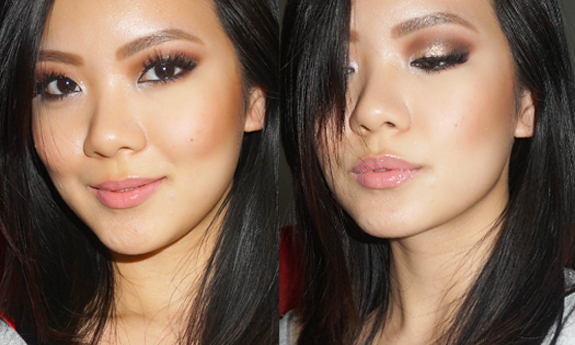 I am using my Etude House Play Color Eyes #2 palette but you can use the Urban Decay Naked palettes for this look. The Etude House palette is a little bit more sparkly than the Urban Decay ones, but not as pigmented. I do find that I get the perfect coverage just by layering the eyeshadow, so I don't find it a big problem. I like the Etude House palette because its colours are very well thought out and very flattering on my skin. 3. Reapply some eyeshadow base in the inner parts of your eyes where you haven't applied eyeshadow. 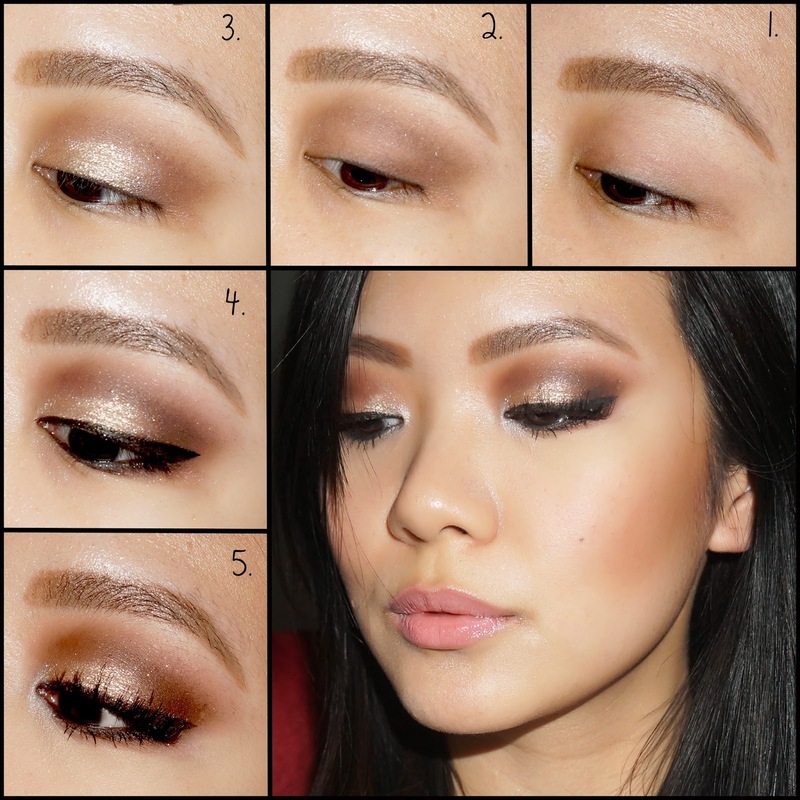 Push a shimmery gold eyeshadow/glitter onto the base. I used my fingers but if you want a bit more precision, use a synthetic flat brush to do this. 4. Line both upper and lower lashlines: Clinique Gel Liner. 5. False eyelashes. Mine are from a random shop here in Malaysia without any brand, but I find that they are very similar to the Ardell Demi Wispies. Highlight the inner corners if your eyes: Urban Decay Vapor. This is one of my favourite eyeshadows for the inner corners. It really reflects the light but isn't at all glittery, so it looks very classy.